No tear-off. According to the EPA, roof tear-offs are the 3rd greatest contributor to US landfills. 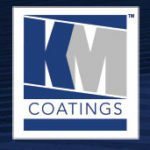 The coatings system products went over the existing 13-year old roof.